As disciples of Jesus Christ and empowered by the Holy Spirit, Presbyterian Women are committed to finding, nurturing and building community in our circles and cities and, truly, throughout the world! Often, Presbyterian Women’s community building is rooted in mission or justice and peace work. Volunteering for reading programs or assisting at food banks connects us with members of our community we may not otherwise have met. These loving, mutually beneficial interactions grow God’s Beloved Community, reminding us that regardless of how we are labeled or perceived, we are all, foremost, children of God. Tell us your story about how you build community. At the national level, Presbyterian Women offers programming that intentionally builds community with sisters around the world. These programs offer the opportunity for mutual sharing, consideration and building up of one another! Presbyterian Women has committed itself to eradicate racism and increase the cultural proficiency of the organization and its members through self-evaluations and racial-ethnic dialog groups. This triennial event is an opportunity for Presbyterian women from across the country (and around the world!) to gather for worship, education, community-building, fun, and renewal. 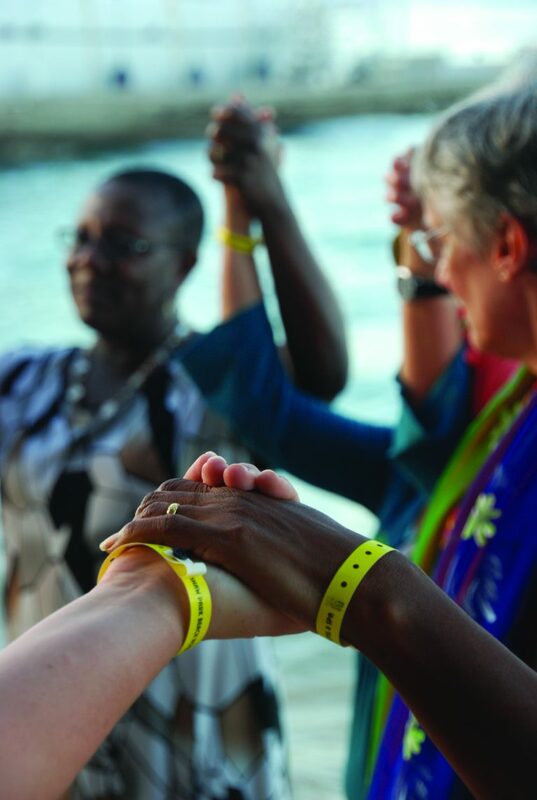 Global Exchange is a relationship-building, fact-finding trip that takes Presbyterian Women to another part of the world to hear the joys and pain of our sisters. USA Mission Experience is a fact-finding, relationship-building trip that takes Presbyterian Women to an area of the United States to learn about the region’s history and culture, and the region’s existing church ministries. To ask a question or to learn more about Building Community, contact Susan Jackson Dowd.